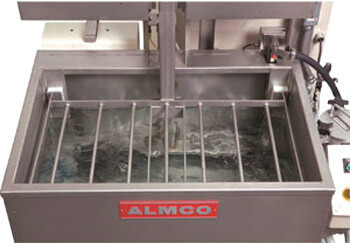 Ultrasonic parts washing is the process of using high frequency sound waves in cleaning solution, creating waves of compression and expansion throughout the liquid. During the expansion wave, molecules are rapidly pulled apart, creating tiny bubbles. The bubbles contain a partial vacuum, and as the pressure around the bubbles becomes greater they eventually collapse as the fluid surrounding them rushes in. This violent collapse results in a very intense cleaning/scrubbing action in and around the parts, including the smallest, most difficult to reach areas. When used with detergents designed for a specific application, the combined cleaning power is very impressive. to talk with an expert. © 2018 C.T. & Associates, LLC, All rights reserved.